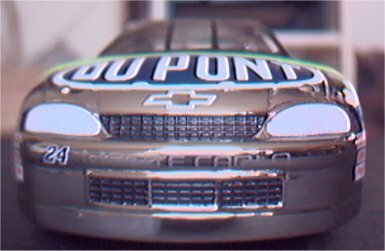 This is a platinum plated Racing Champions Monte Carlo that i reworked to represent Jeff Gordon's 1998 Coca-Cola 600 car. This is the same car in which he won the race with a late pit stop for 4 tires when the other leaders put on 2. This was one of the 13 wins gordon had on his way to the championship.